mounted on a sturdy, gold painted, full swing ring metal meridian and base that will give many years of service. 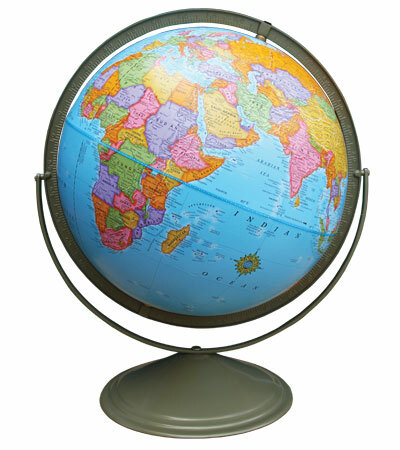 Supplied with the Global Reference guide for full information on how to use your globe which has factual information useful to supplement teacher's notes. Assembled in the UK, using components from the USA.